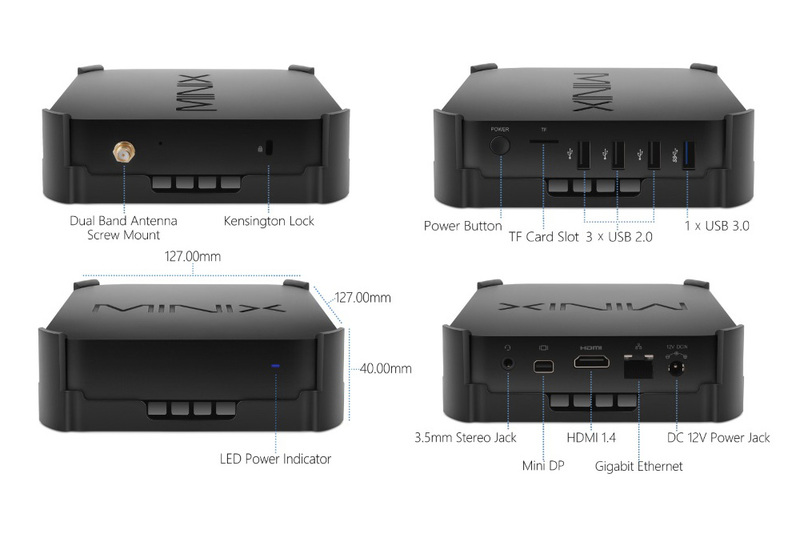 Minix quietly launched a new device recently, which is an upgrade for their previous Z83-4 excellent mini PC, which we tested here on MiniPCDB. 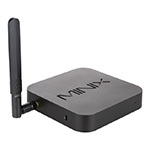 Minix Z83-4 Pro has the same very good casing, a large heatsink that makes the device weight more than similar devices on the market and also keeps the temperature at bay, and, of course,the good firmware support Minix has proven to offer over the years. But it comes with Windows 10 Pro, an included VESA mount and the CPU is slightly better (Intel Atom x5-Z8300 was replaced with the Atom™ x5-Z8350). 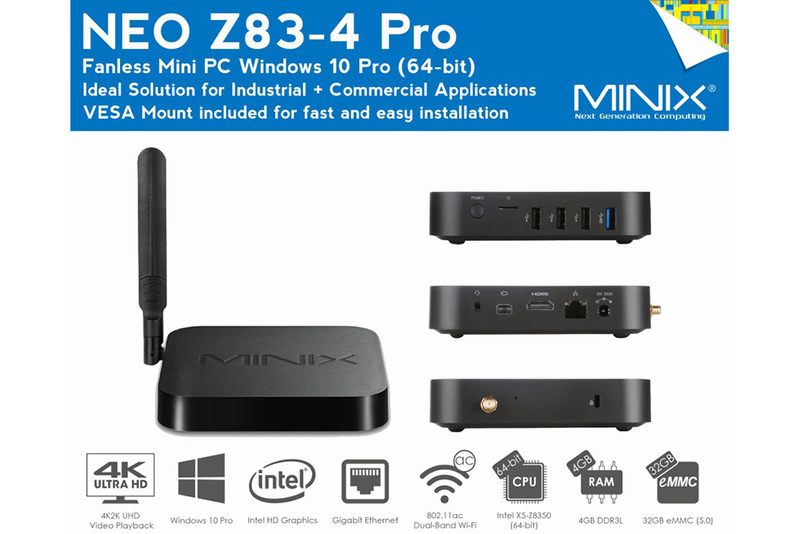 Minix Neo Z83-4 Pro can be purchased from GearBest . Except for that 32Gb eMMC, which is a bit small for Windows 10 and it's updates, the Z83-4 Pro is a solid fanless Mini PC, which is ready for pretty much any use case : home, industrial and commercial. 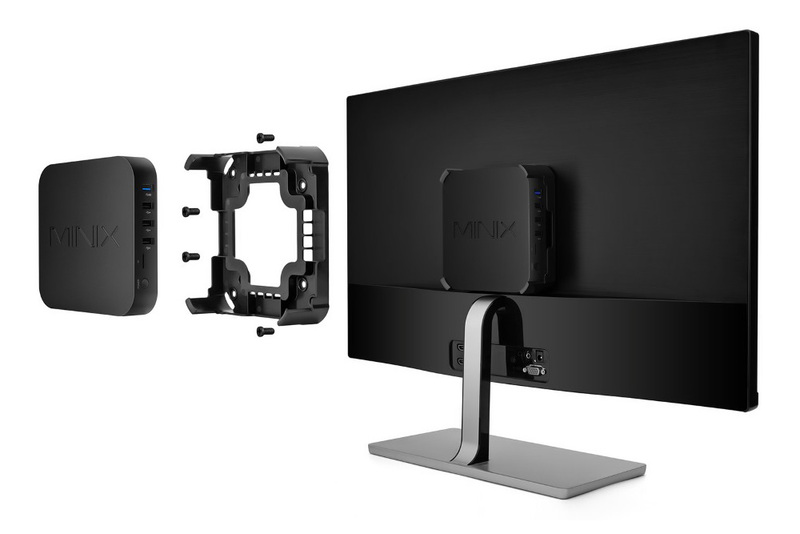 Judging from it's predecessor, the device is stable enough to run 24/7, so you could use it as a home NAS, surveillance station, mini web server, media center or anything else. Z83-4 Pro is also benefiting from the features such as Wake on LAN, Scheduled power on and Auto power recovery after power loss - a little bit more than devices in the same price range. 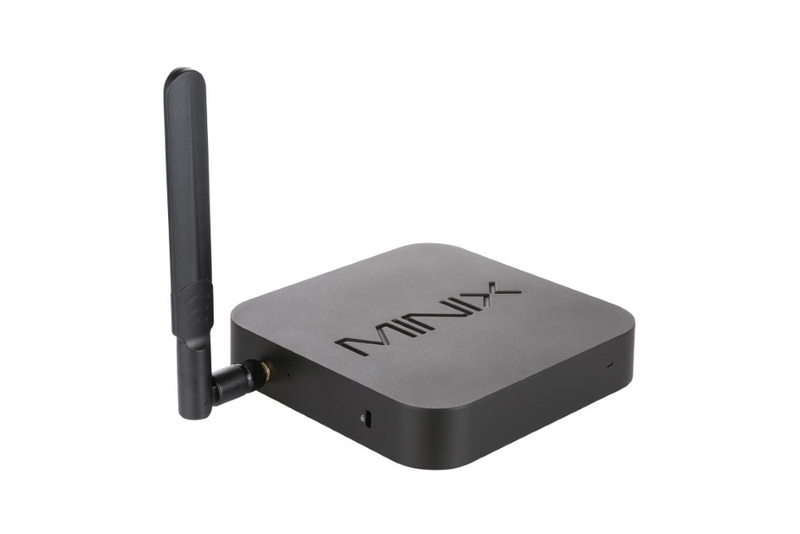 Minix Z83-4 Pro is now available at GearBest for $213. You can also use the coupon code GBCNA to drop the price - 14% off.